The Iraqi monarchy was overthrown in a coup in 1958, during which British buildings were targeted. The out-housed consulate and information offices near the radio station were the first to be burned, followed by a mob attack on the embassy on 14 July. Although the attack only lasted about three hours, the residence was looted and largely gutted by fire, the comptroller of the ambassador’s household was killed by a stray bullet, the offices were ransacked, and many of the outbuildings burned down. The launch, the Mary Rich, was damaged but reparable. Because the north wing of the residence survived, with the billiards room and the ballroom with the sprung floor, as well as most of the other outer walls, there was a long debate whether to reconstruct or to demolish and rebuild the residence. Demolition eventually started in 1962 but the intended replacement was never built, leaving a great gap between the office building, which was tidied up and made to carry on as offices, and the billiards room and the ballroom, which were rehabilitated as a staff social club, called The Oasis. Meanwhile, a new one-storey office building along the river was [?] actually designed and built. The ambassador in 1958 rather surprisingly suggested that, for the offices, ‘the most attractive [solution] is the use of temporary buildings within the present site. It offers opportunities of showing how modern British constructional methods enable us to meet emergencies of this kind, and at the same time to build attractive and efficient offices.’ A compensation claim amounting to £248,000 was submitted, and eventually settled in the sum of £120,000. After the sacking, the ambassador moved first to the Baghdad Hotel, then to the Iraq Petroleum Company guesthouse, before being offered the vacant house of the company’s chief representative, Sir Herbert Todd (who had, coincidentally, flown out of Baghdad on leave on the day of the revolution). Todd Hall, as it came to be called, was at 314/1 Karradat Maryam and directly overlooked the river. It was the best of several houses in the small Alwiyah compound that belonged ultimately to British Petroleum of London. The house was successively leased from 1961 until 1972, and ideas of developing it for other purposes were floated at times during this period, but to no effect because the Iraqis were keen to have it for themselves. The company lost the house during the 1971-4 break in diplomatic relations. Upon resumption, the ambassador moved to a leased house in the Mansour district, about four miles from the compound. 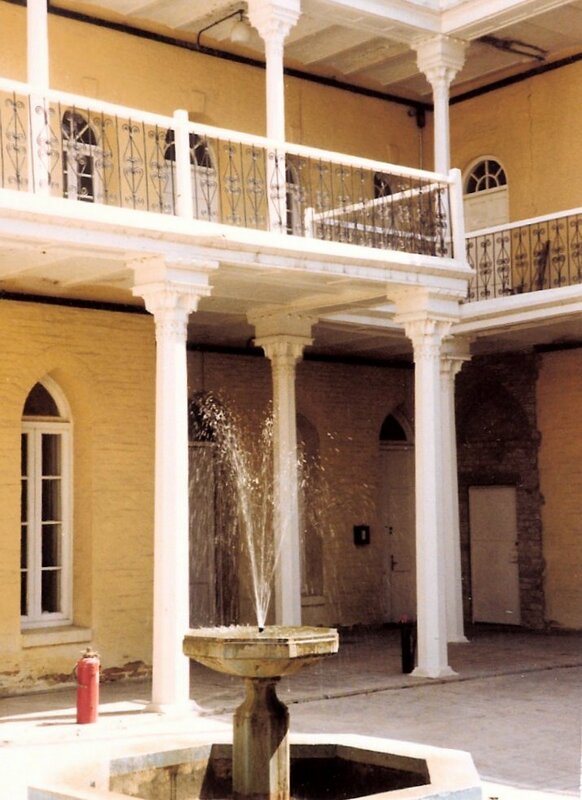 This undistinguished house continued to serve as the residence until 1991, when the ambassador left Baghdad before the battle to evict Iraq from Kuwait. 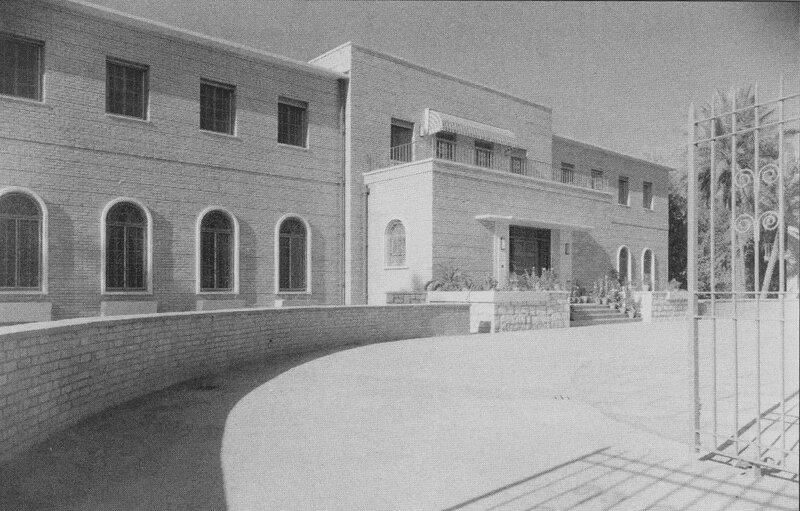 The West Bank site, much of it occupied by the Iraqi army after 1958, was expropriated by the Iraqis in 1979 for a new conference centre, except for two small areas: one leased by the British to the Baghdad Civil Chaplaincy for the church and the other made available to an English language teaching organisation [IDELTA], but was never developed. Compensation approaching £900,000 was received in 1982. An expropriation threat was made to the Tigris compound in the early 1980s when the Baghdad municipality wanted it as a recreation area, and this further discouraged any investment in maintenance and improvements. A strip of land was surrendered in 1981 but other Iraqi demands proved, after legal proceedings, resistible. The Iraqis tried to launch a diplomatic area near the airport road but few missions were interested. In the mid-1980s, the FCO decided that working conditions in the embassy offices were simply too awful to continue and the first stage of a decent refurbishment scheme for the offices was completed in 1987. 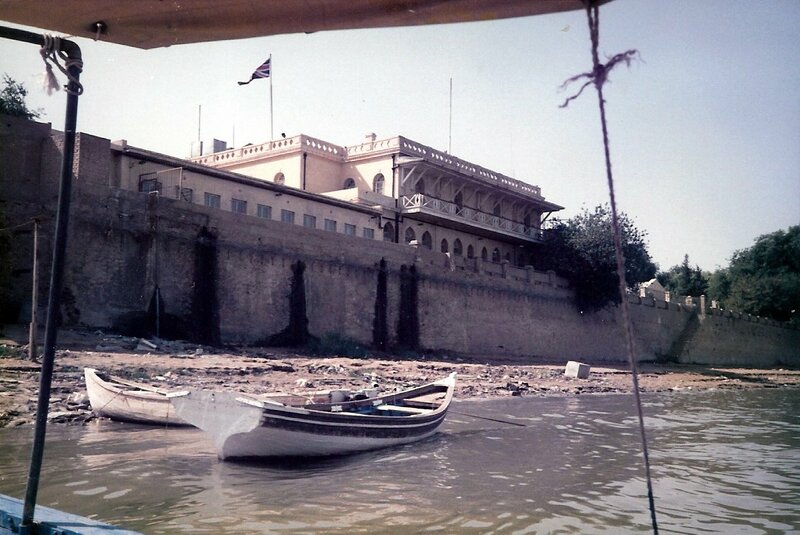 The next stage, which was to include repairing the river wall, repaving the adjoining terrace and refurbishing the visa office, was put on hold in 1991 when Iraq invaded Kuwait.